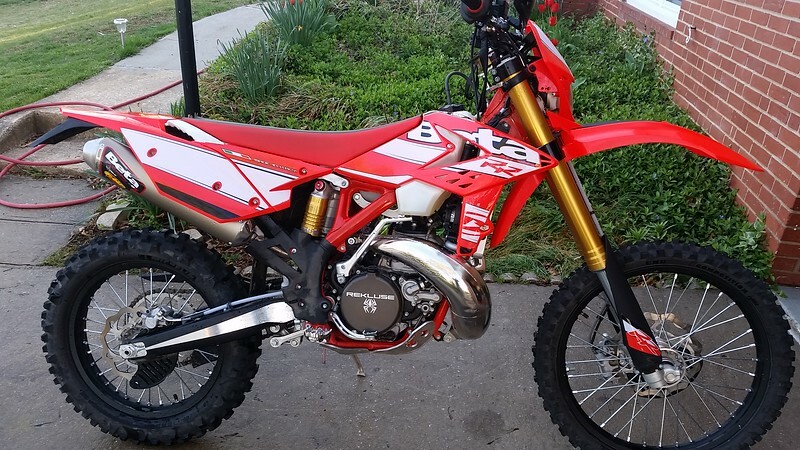 2019 Alta Redshift EXR - DAMN Riders - No rules, Just ride! It costs 50% more than a new 2T dirt bike, provides 1/2 of the operational performance and weights 40 lbs too much. These things are just at the start of their evolution. When you can ride <30 minutes from your house or have more options further out you might think differently. Admittedly these sorts of things may be for our grandchildren but, even so, making virtually no noise should be a boon for dirt riding. I agree “ our grandchildren “. But for me I love the smell smell of premix in the morning! I should also mention for those who don’t know me, I am older and the only real dirt bikes in my time were 2 smokes. Ahem, what do you mean, "in my time"? "older"??? Your profile says your only 60? What I guess I meant was in the early seventies four strokes hadn’t evolved to what they are now. ( slow, heavy, SL Honda’s etc.) The best dirt bikes at that time were two stroke, heck Yamaha’s were labeled as mx not yz. And I am glad to see more new 2 strokes hitting the market and your new ride is sweet. I know,I wish I was 50 and I bet you wish you were 60!